Set to land as the first Samsung Bada 2.0 handset the Samsung Galaxy Wave 3 was officially unveiled at IFA 2011 yesterday with our first hands-on with the device resulting in a series of Samsung Wave 3 pictures. Announced alongside the revamped edition of Samsung's propriety mobile operating system the Wave 3 is to build on the strong foundations set by its two predecessors with a 5-megapixel rear mounted camera with integrated flash to be partnered by a second, VGA quality, forward-facing snapper. Hosting a metal unibody design the Samsung Wave 3's sleek finish is backed up by an impressive array of specs with a characteristically strong 4-inch Super AMOLED display joined by the same 1.4GHz dual-core processor found in the recently unveiled Samsung Galaxy Tab 7.7 and Samsung Galaxy Note. Whilst Bada's catalogue of apps might not be as expansive as that of Apple's iOS or Google's Android platforms, the proprietary software has been well received since launching at Mobile World Congress last year. An exact Samsung Wave 3 release date has yet to be confirmed. 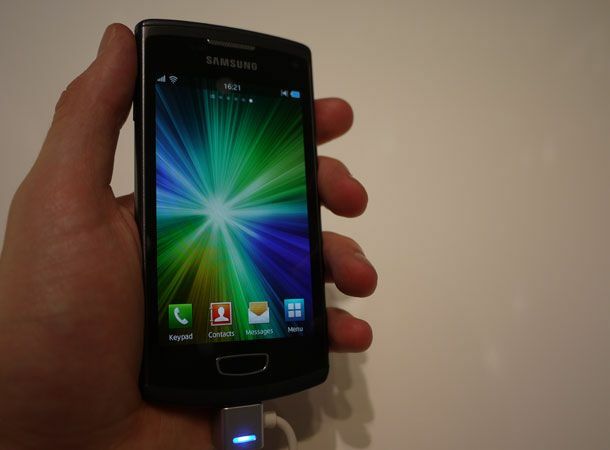 Would you forgo the Android and iOS app offerings in favour of the beautifully crafted Samsung Wave 3? Let us know via the T3 Twitter and Facebook feeds.